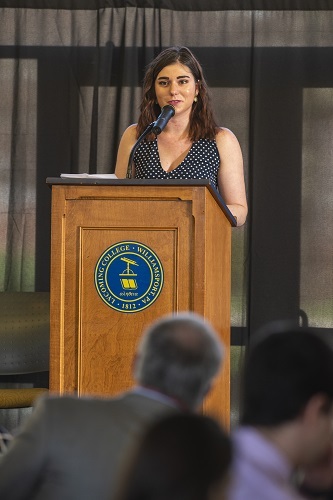 On Sunday, April 22, Lycoming College hosted its annual Scholarship Day Luncheon in Pennington Lounge on campus with more than 120 guests in attendance. 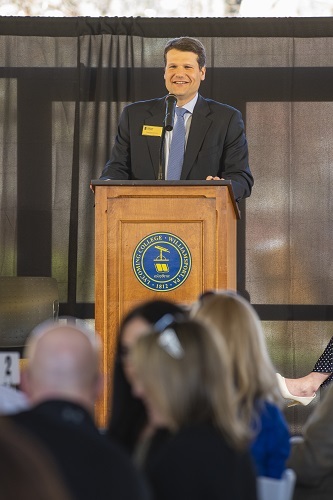 The event provides students and their families time to celebrate with scholarship donors and express appreciation for the opportunities their generosity has provided — fueling a new generation of Warriors. 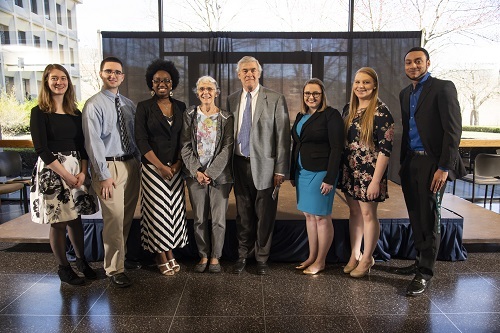 Lycoming is grateful to its loyal donors for supporting initiatives that assist in offering an outstanding and affordable education for its students. 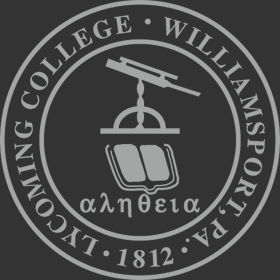 During the 2017-18 academic year, Lycoming provided more than $31 million in scholarships and financial aid to its student body. A portion of these awards are funded through endowed scholarships, which have been established by generous alumni and friends. 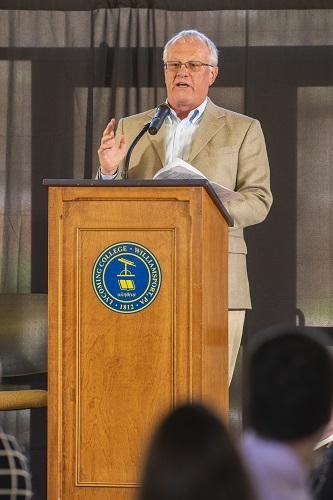 As part of its Campaign for a Greater Lycoming, $19.2 million has already been committed to new or existing endowed scholarship funds, including more than $4.5 million in new gifts over the past 12 months. 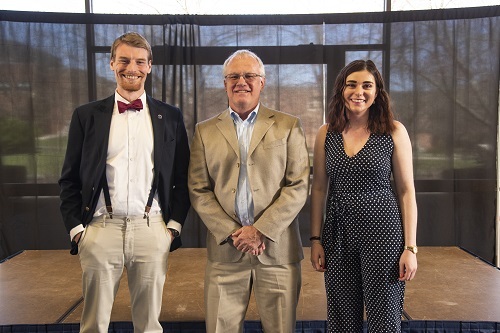 Scholarship recipients Melissa Bilza ’19 and Benjamin Conrad ’19 addressed the audience and shared their experiences at Lycoming and how receiving scholarship assistance has been beneficial to their educational journey. Bilza is a music and corporate communications double major with a minor in business administration. Conrad is a religion major with a biblical languages minor. Both are Lycoming Scholars. 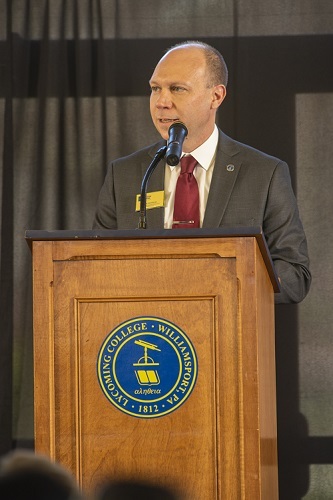 Keynote speaker Frank Kindler ’77, president of Planet Fitness Central PA, spoke about why he is a proud supporter of Lycoming and highlighted two lessons he says have made an impact on his life. “When you take the time to get to know someone, you realize how much easier it is to relate to them and make a connection. I’ve also found that sometimes all a person needs is a few words of encouragement. 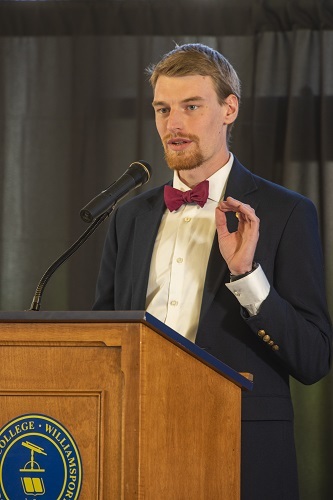 If you focus on really getting to know people and encouraging others, you’ll be amazed at what you can accomplish.” Kindler, who studied business administration and economics, was an exemplary student-athlete who learned the skills of leadership, hard work, and dedication through his experiences in the classroom and on the football field at Lycoming. Throughout his successful career, as a business owner and long-time high school head football coach, he used the skills he honed and developed at Lycoming to impact his community.